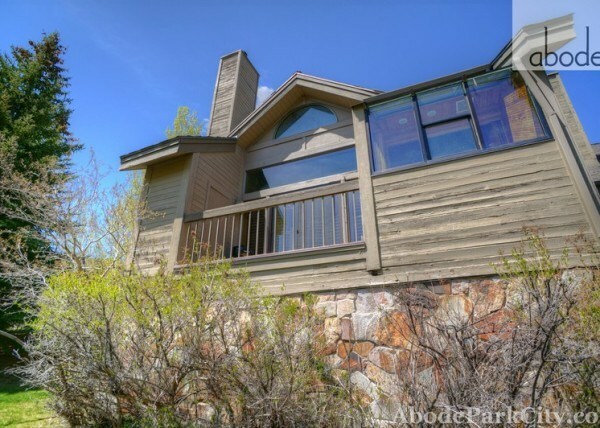 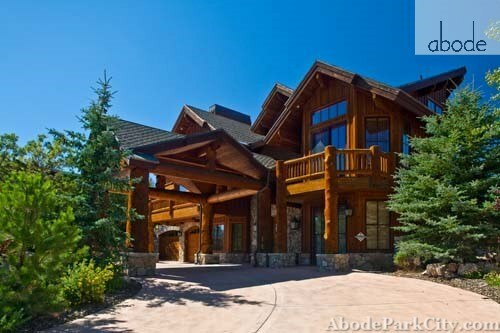 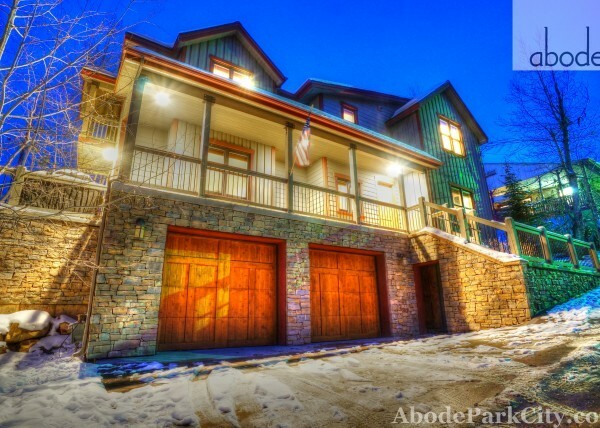 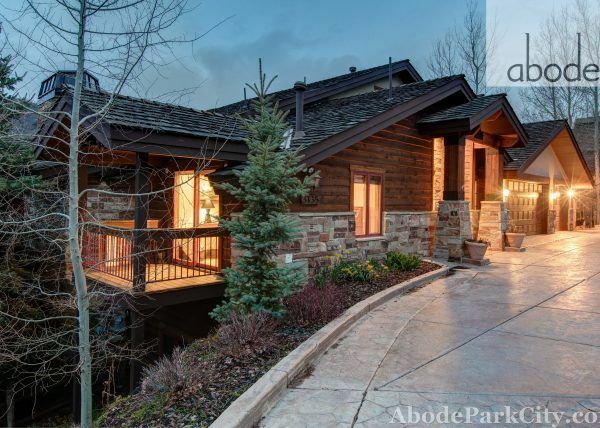 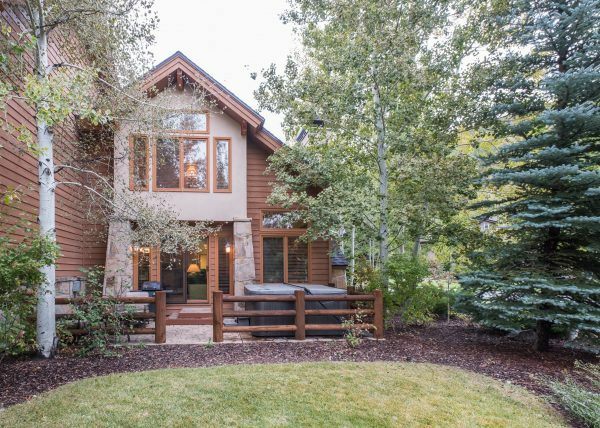 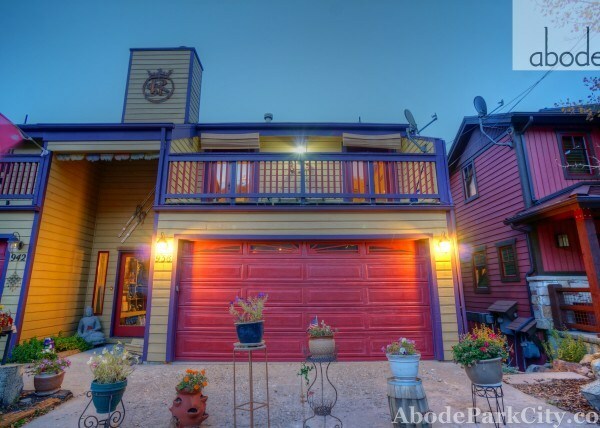 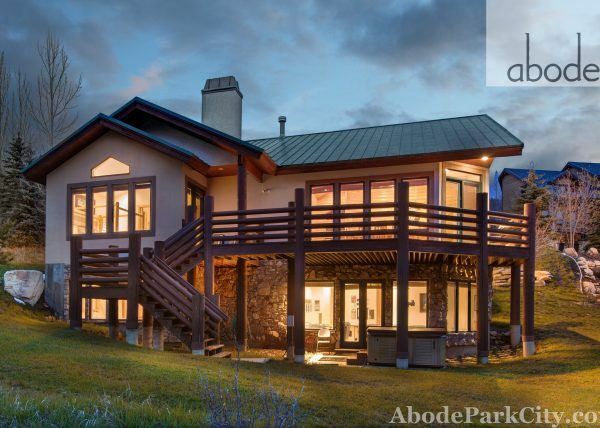 The Abode in Solamere is a well appointed 3 Bedroom (plus den), 3.5 Bathroom luxury home in Lower Deer Valley. 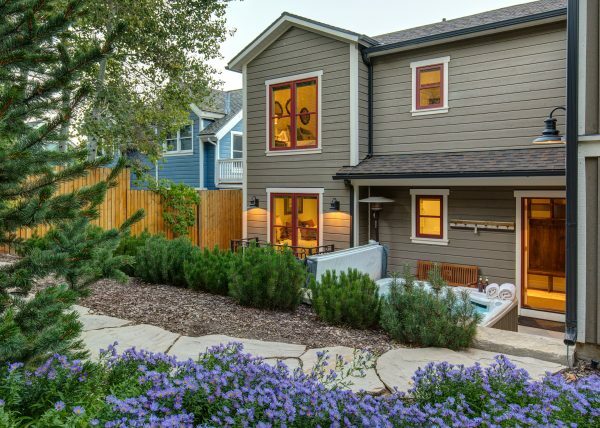 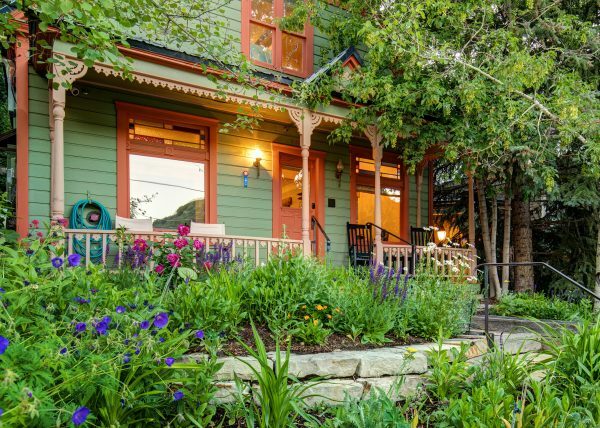 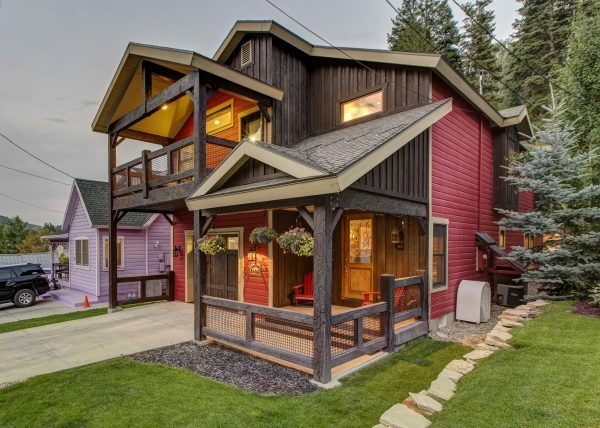 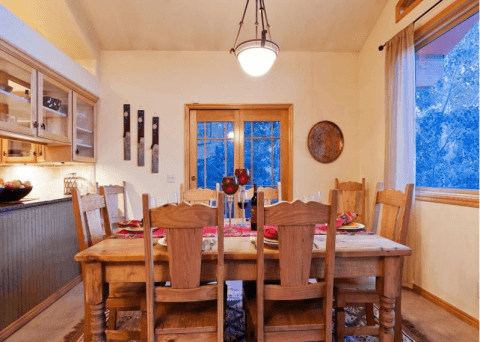 The home comfortably sleeps 8 and is great for a large family or a group of friends. 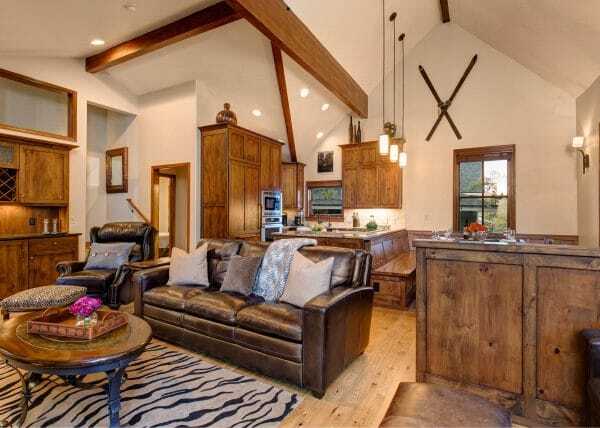 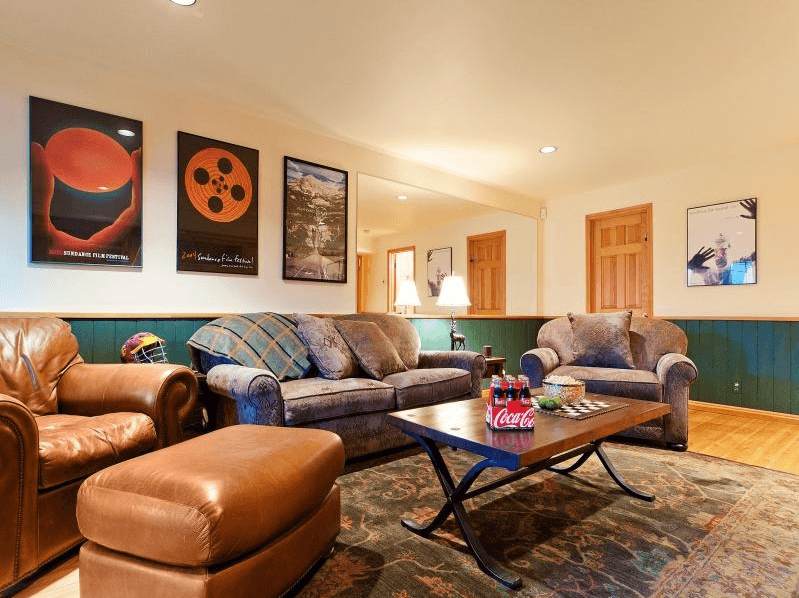 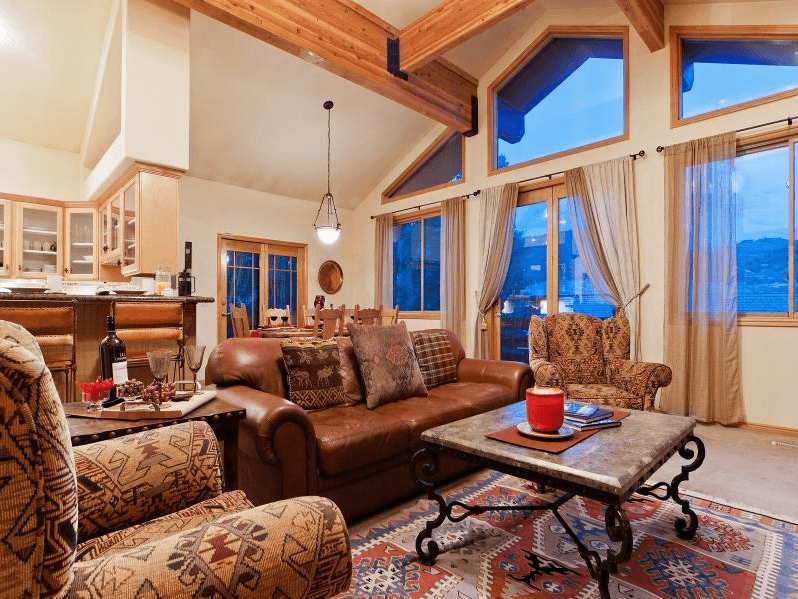 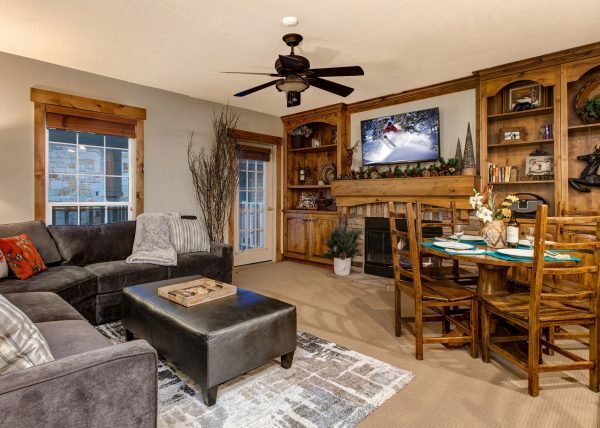 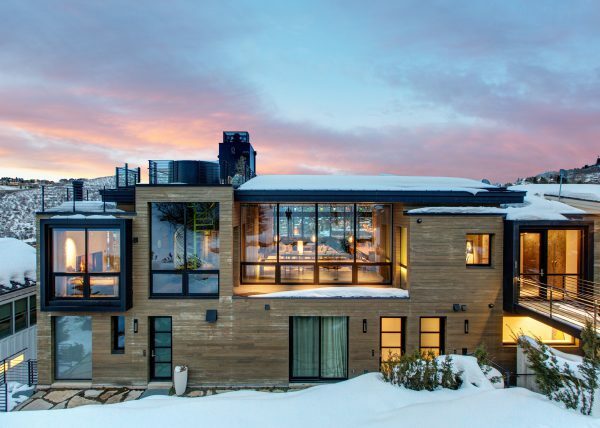 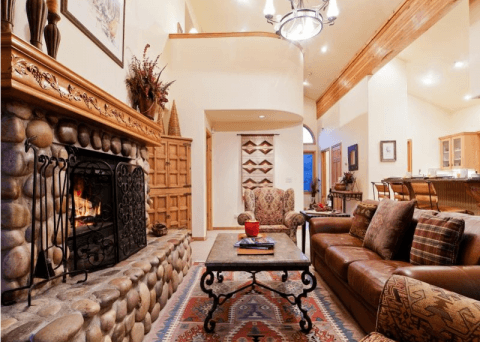 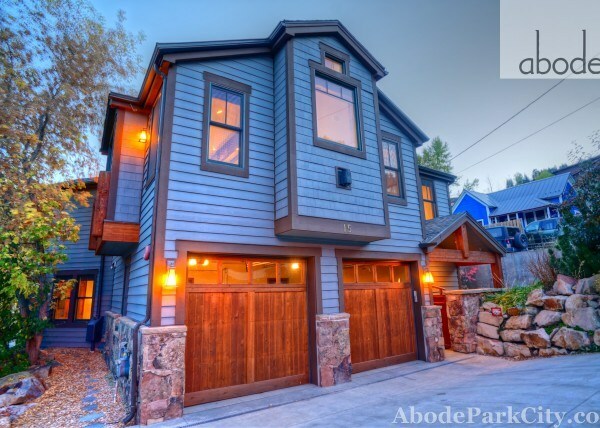 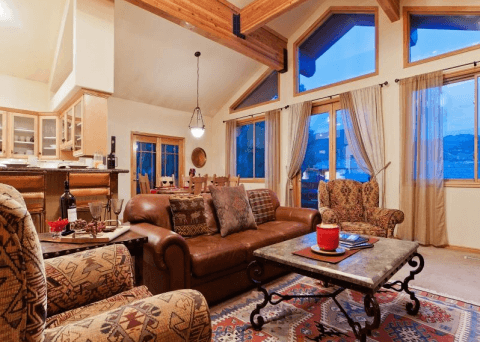 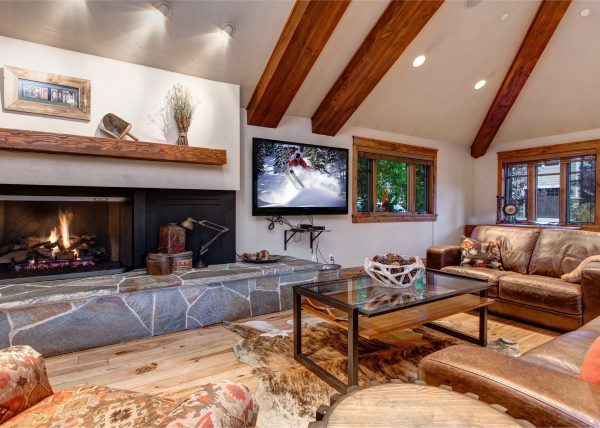 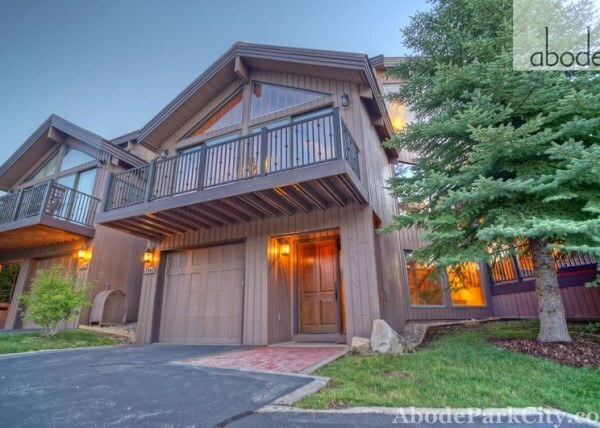 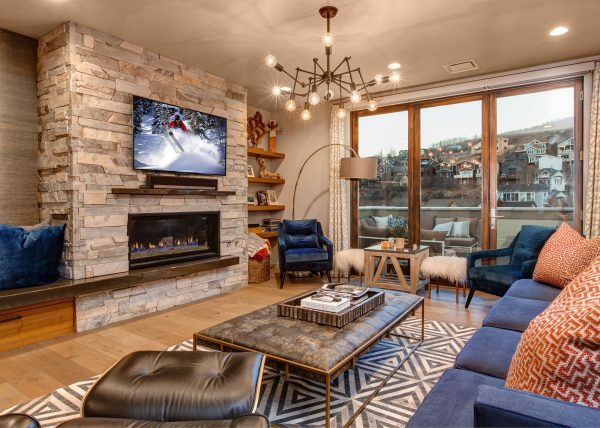 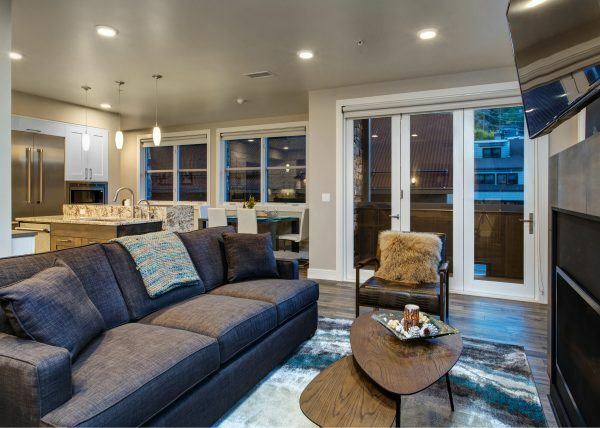 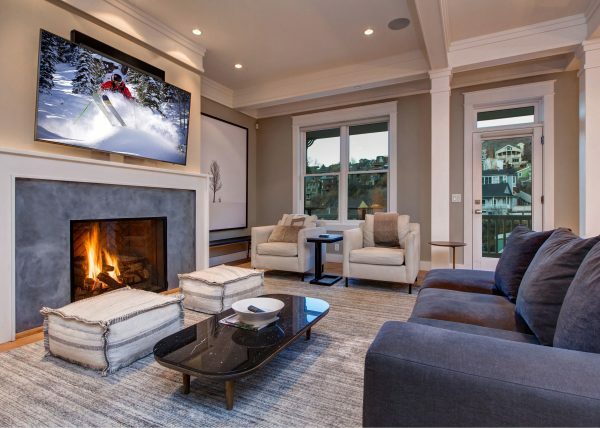 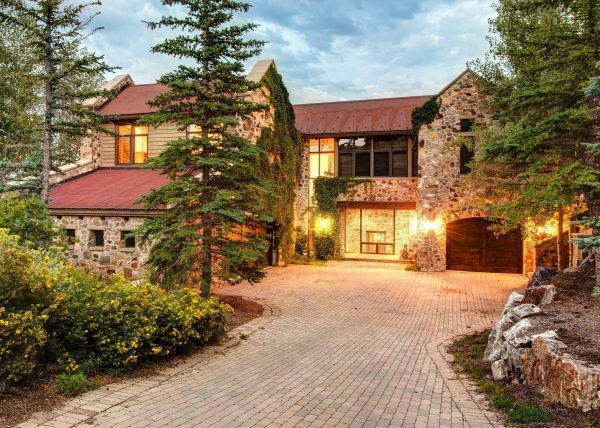 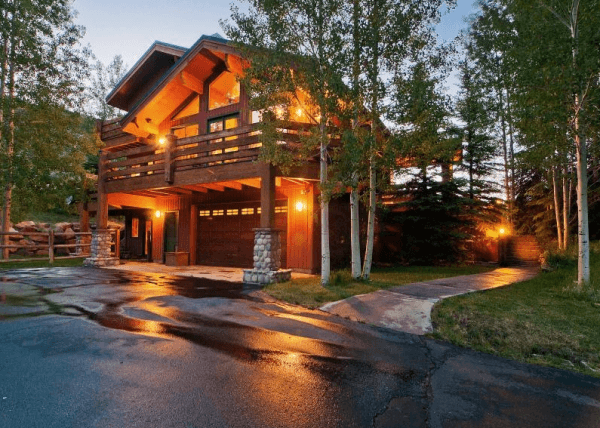 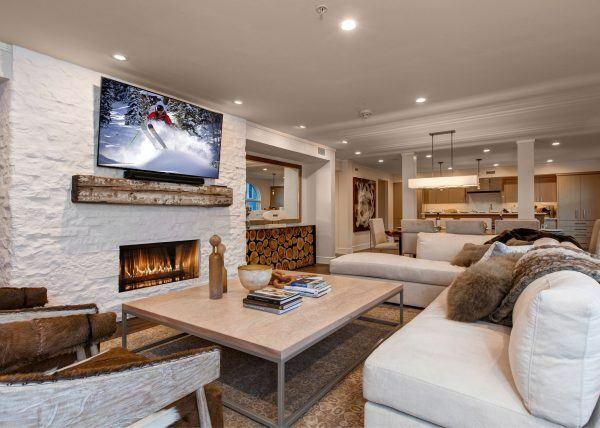 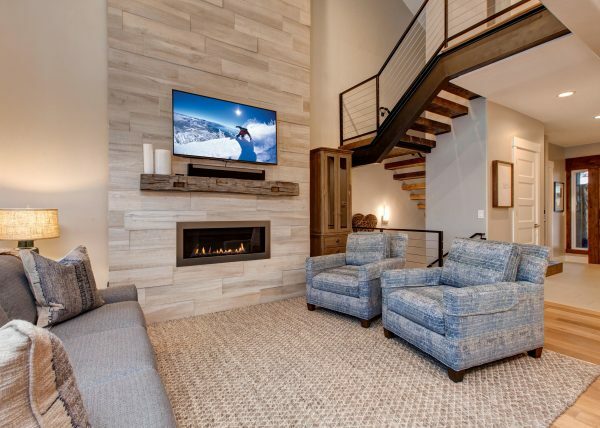 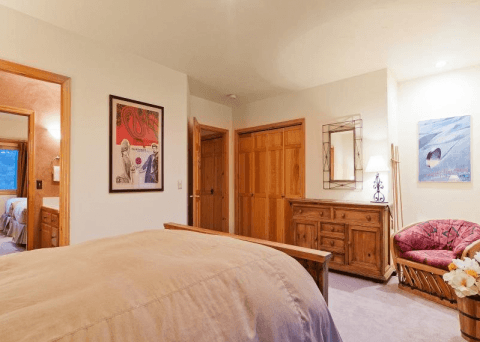 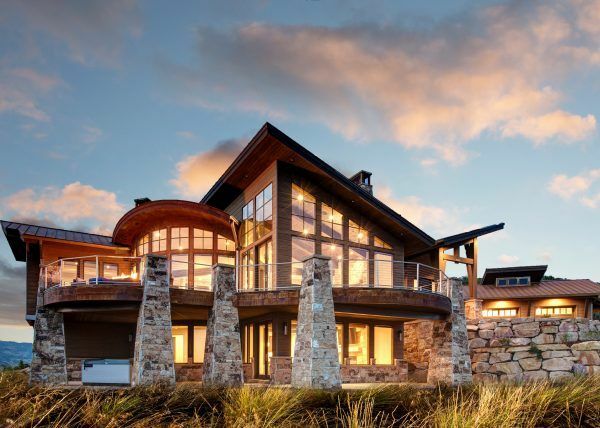 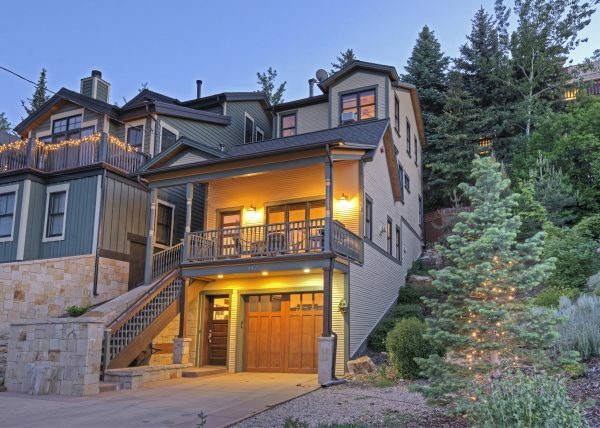 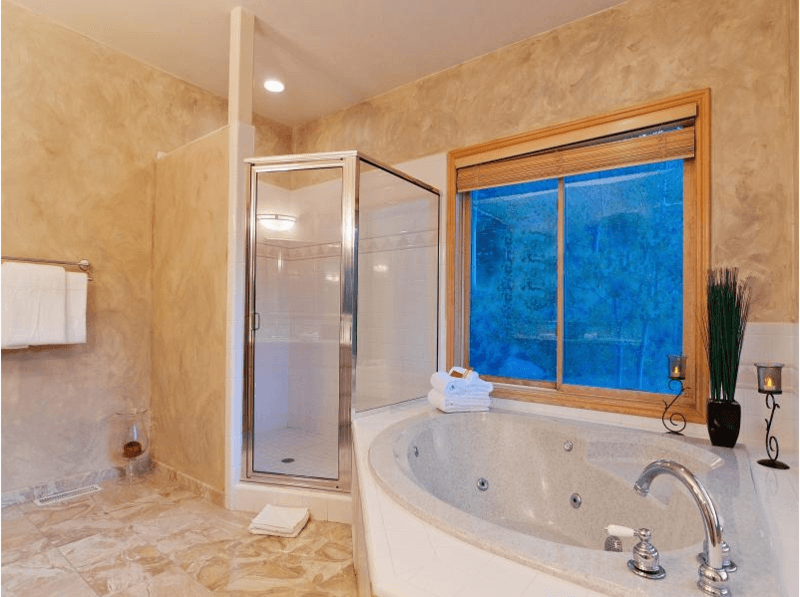 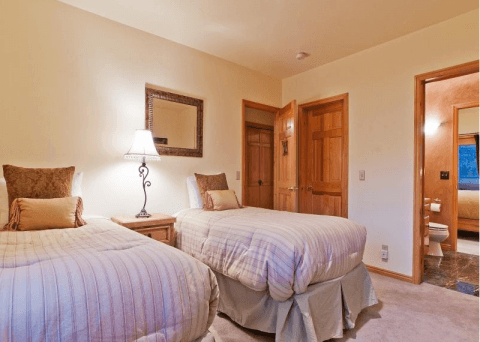 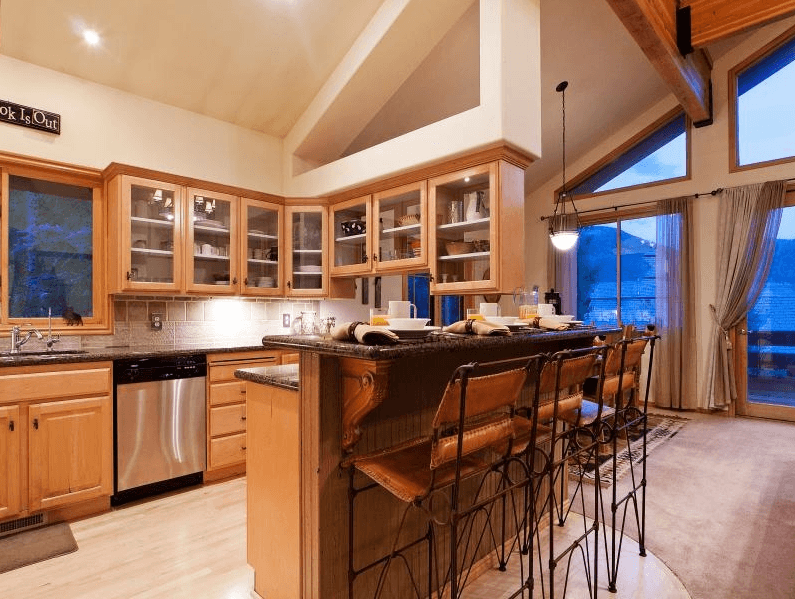 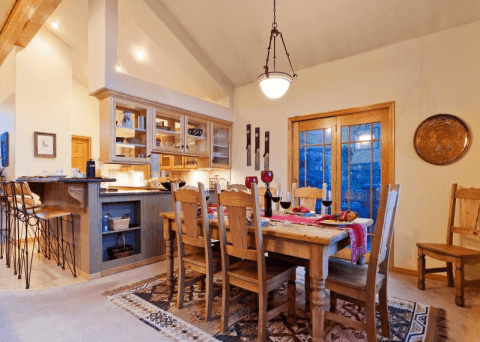 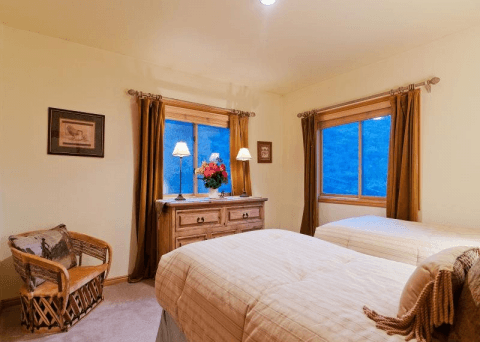 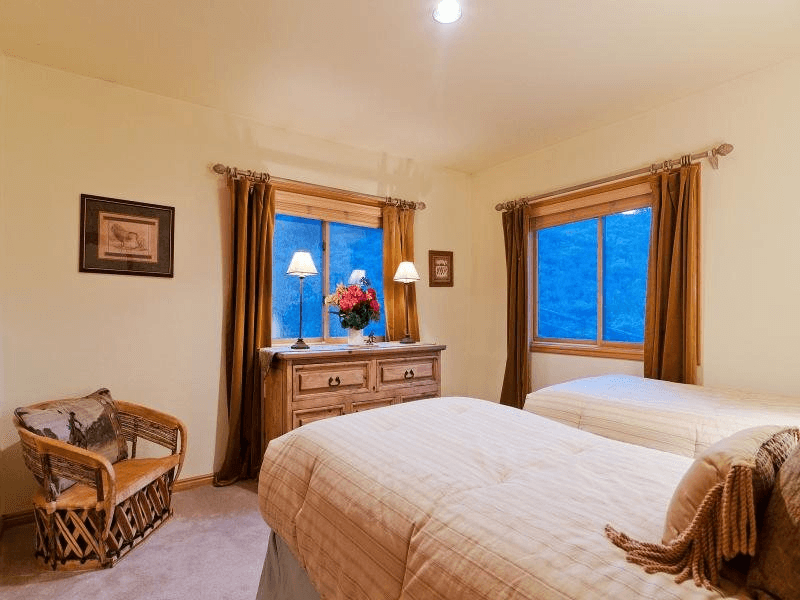 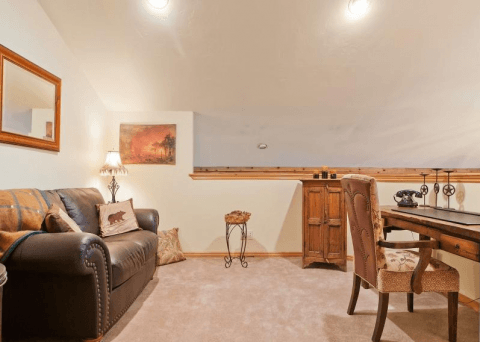 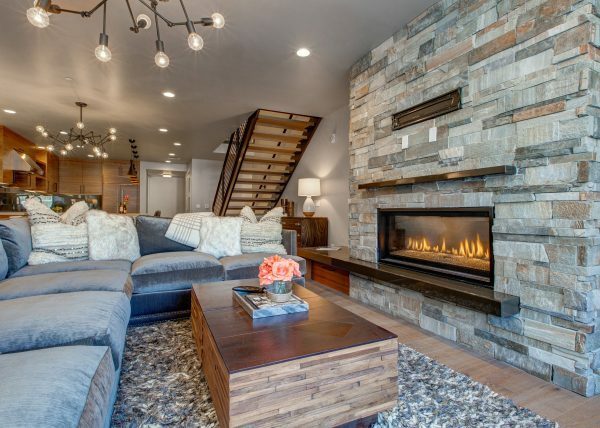 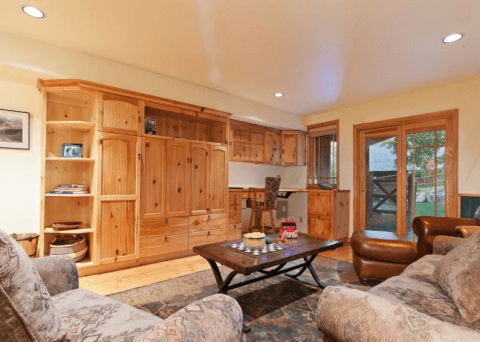 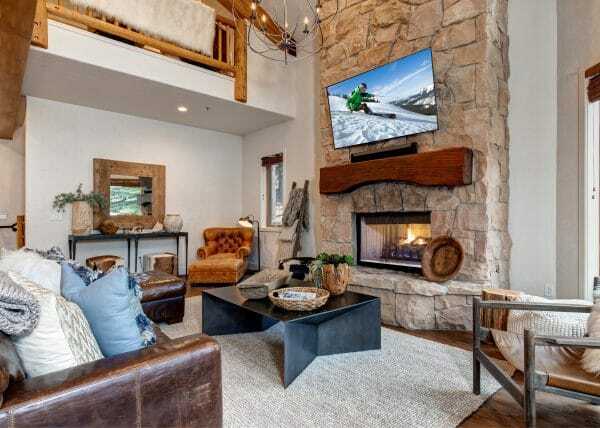 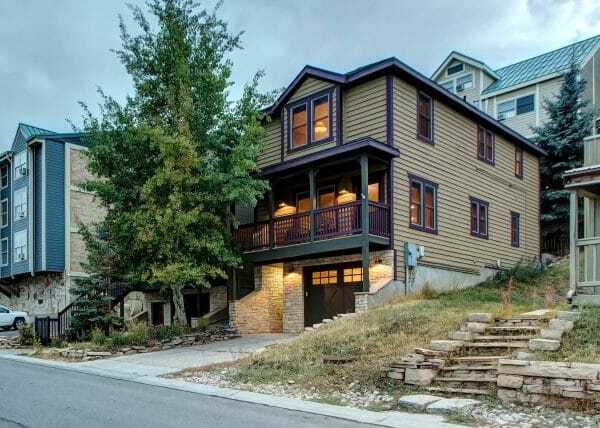 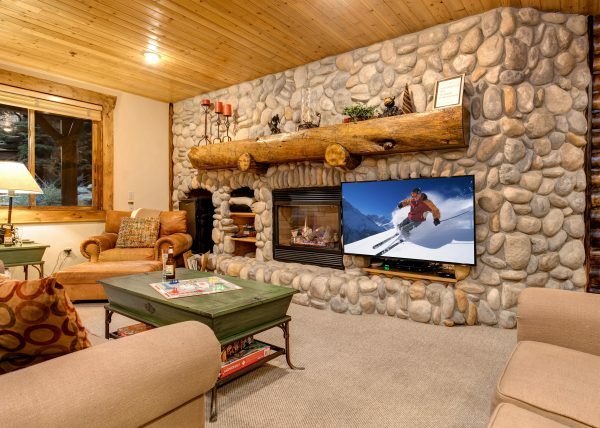 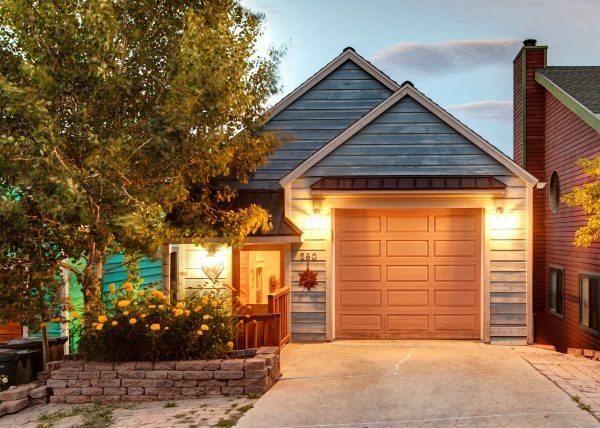 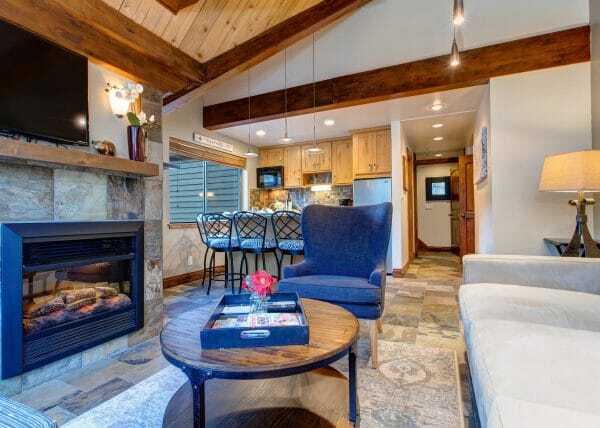 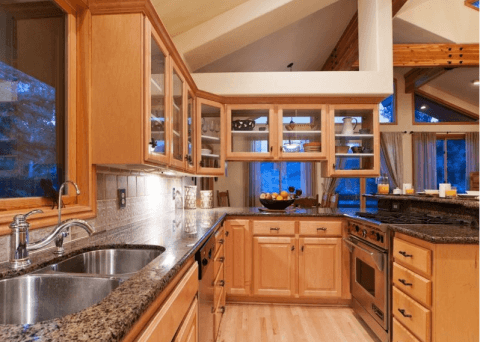 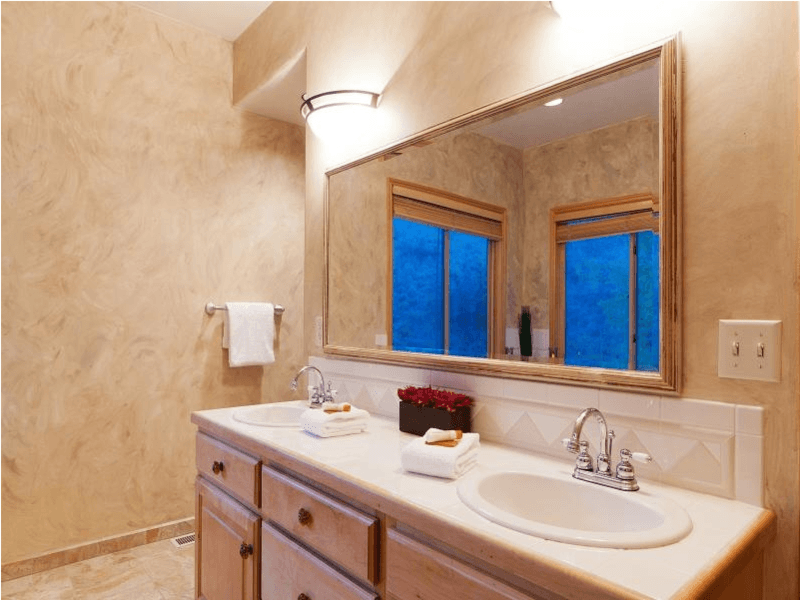 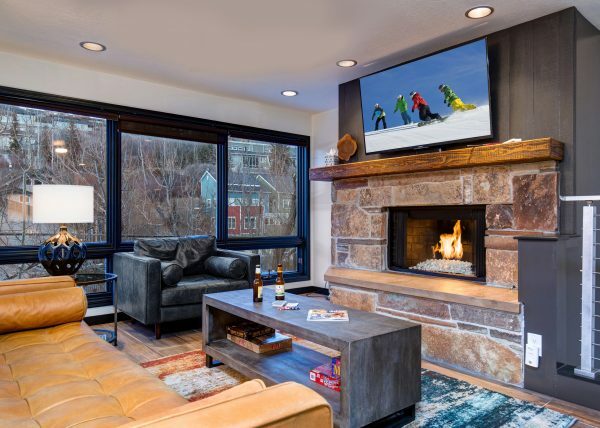 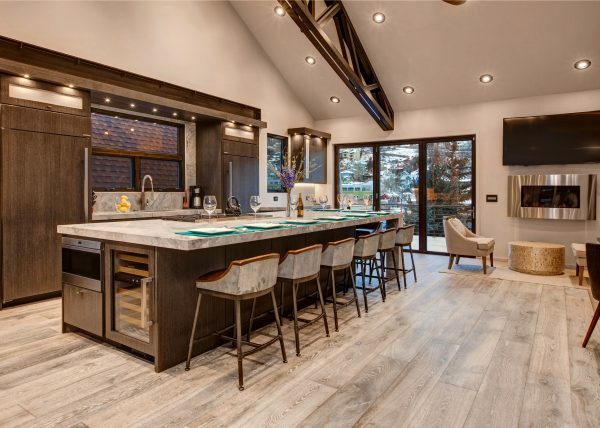 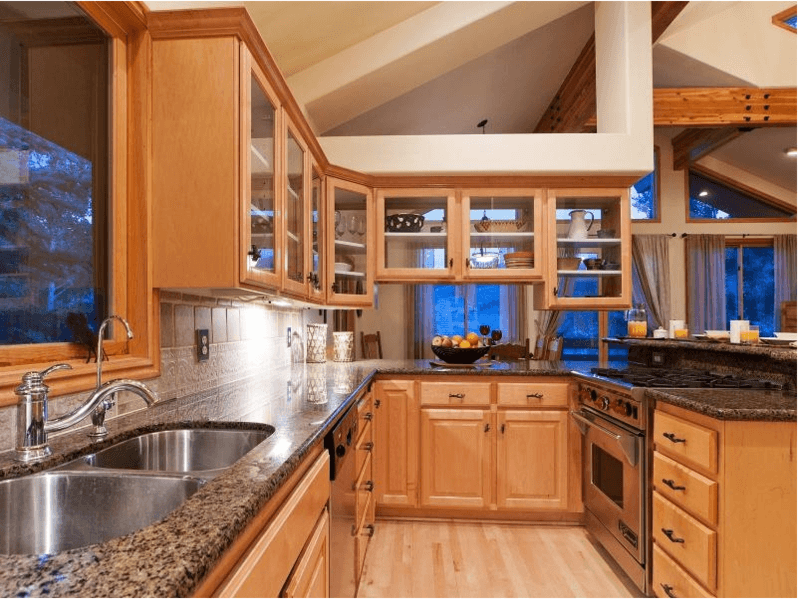 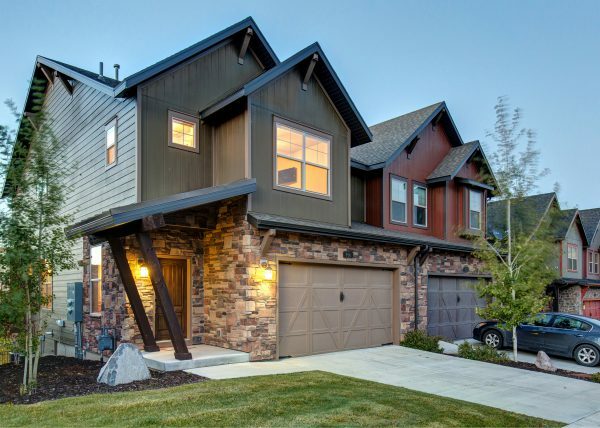 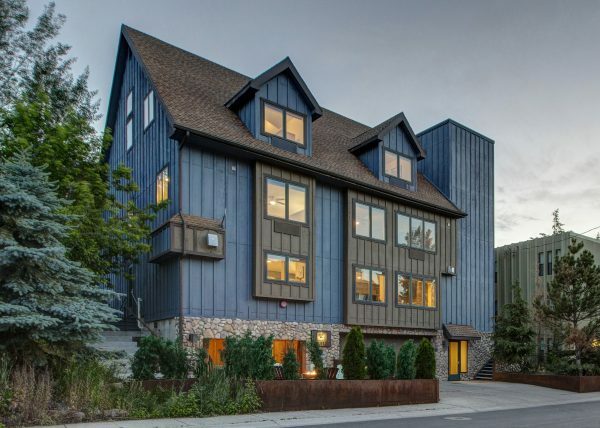 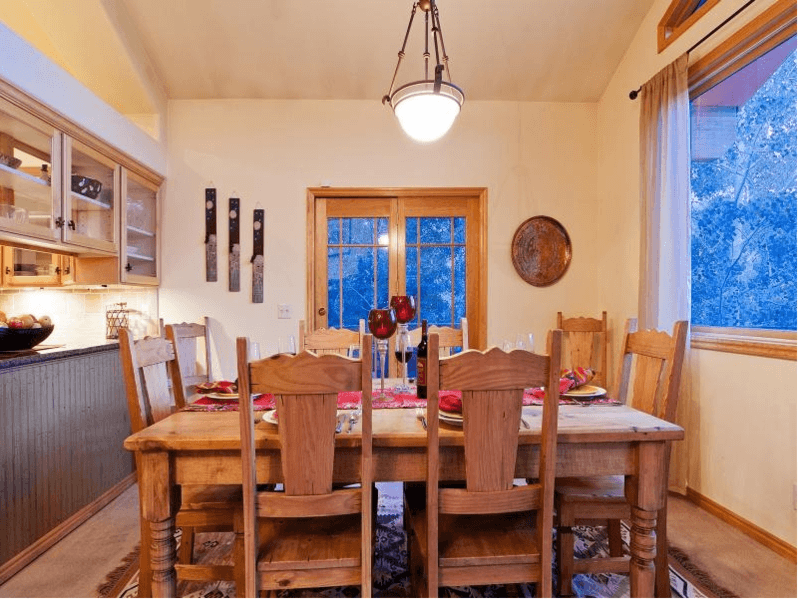 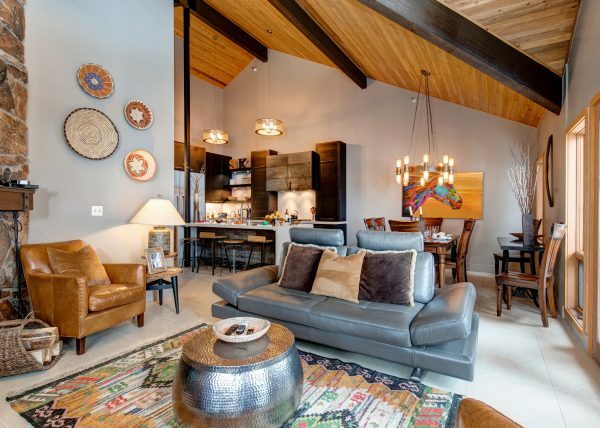 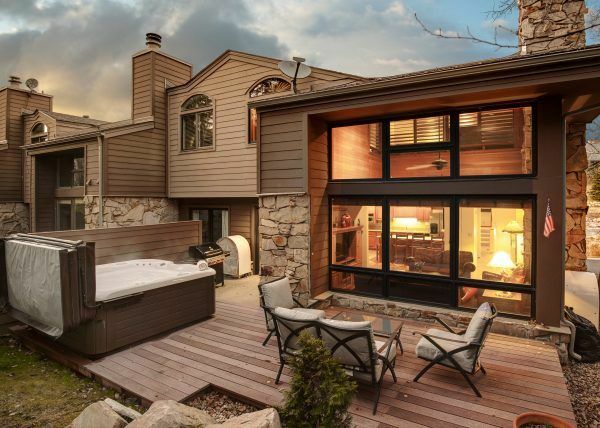 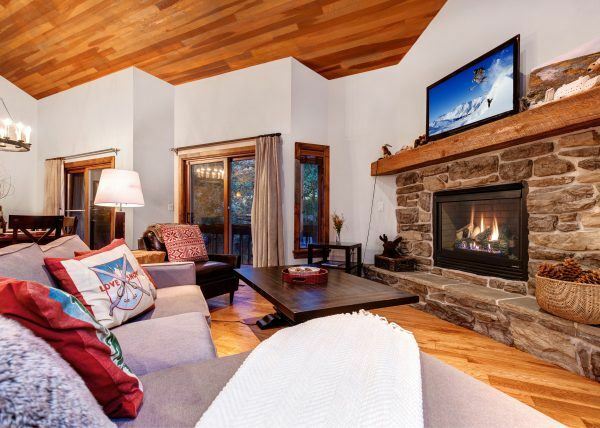 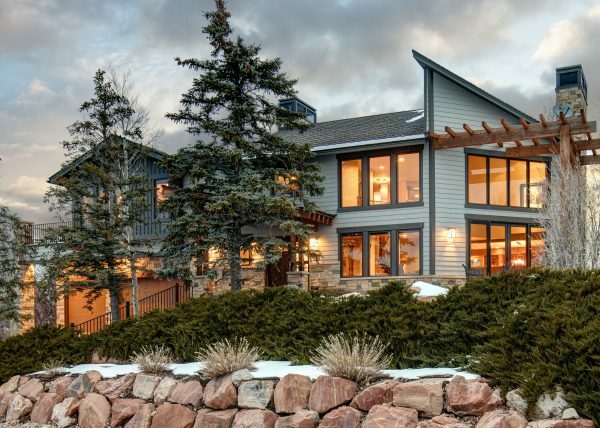 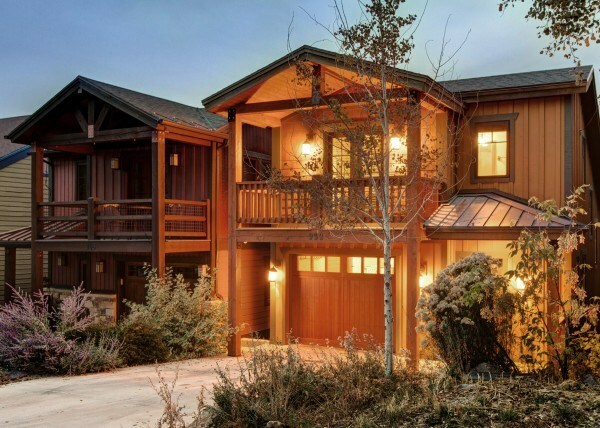 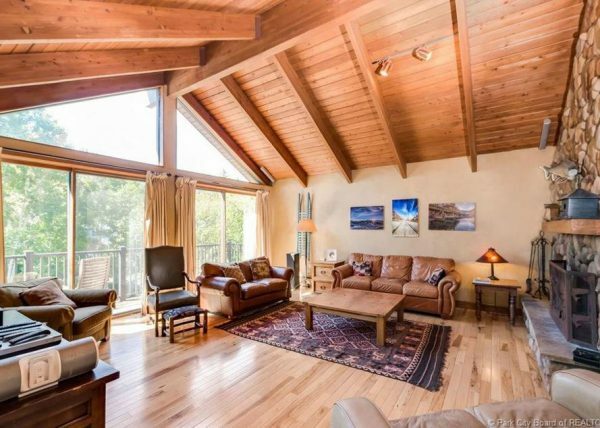 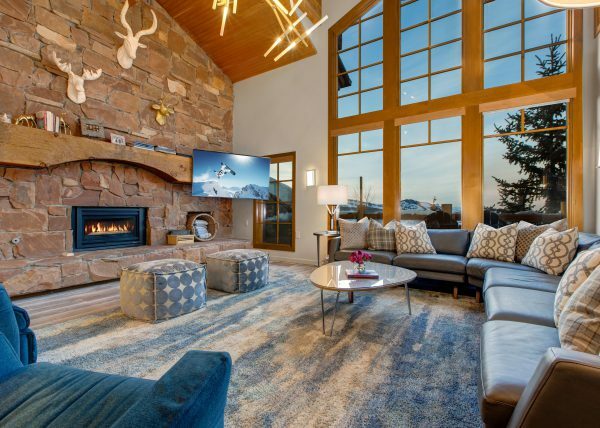 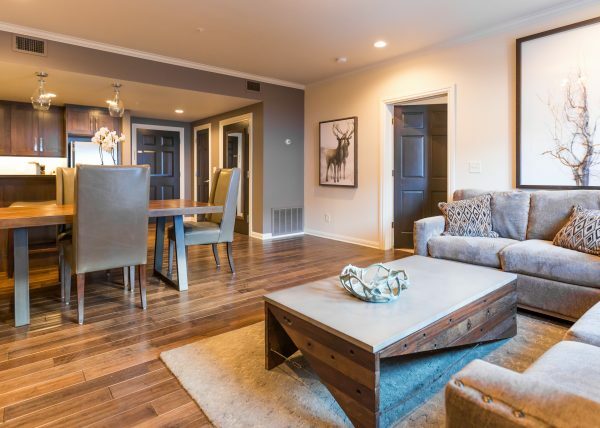 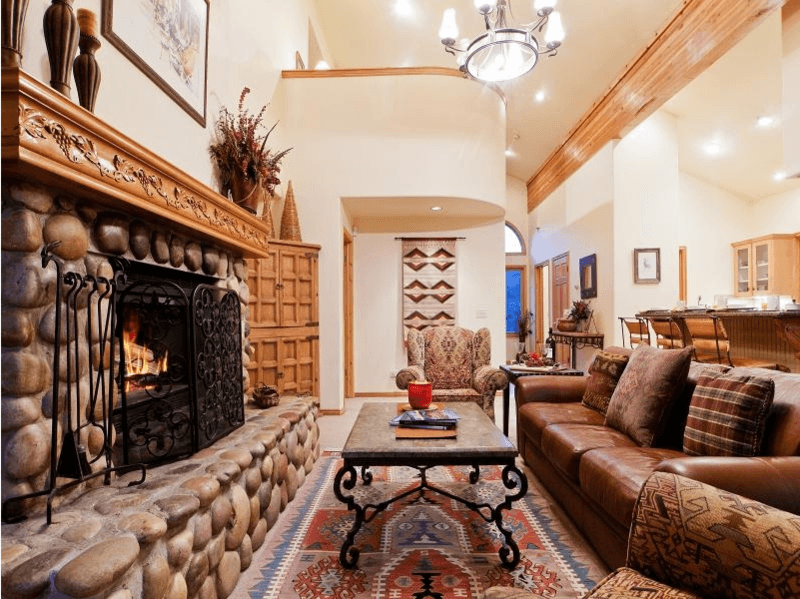 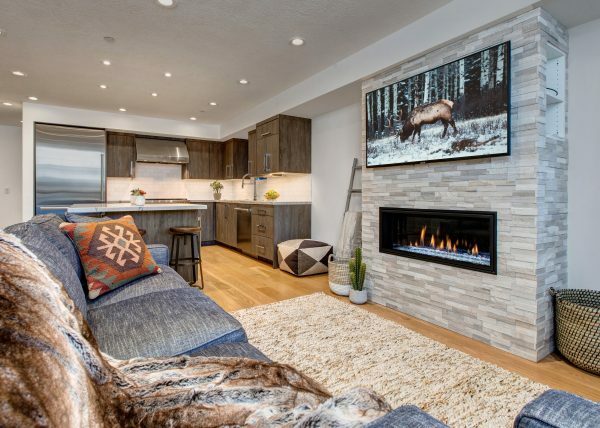 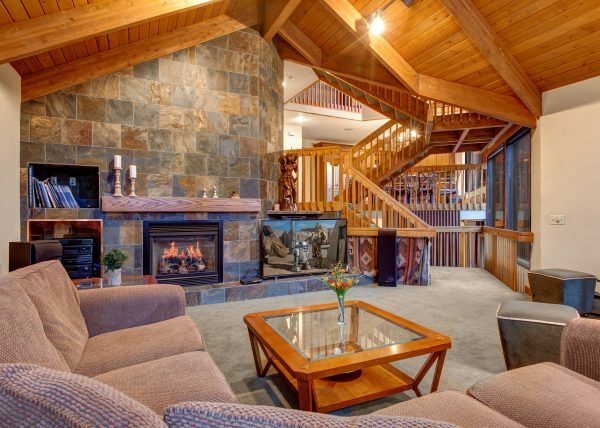 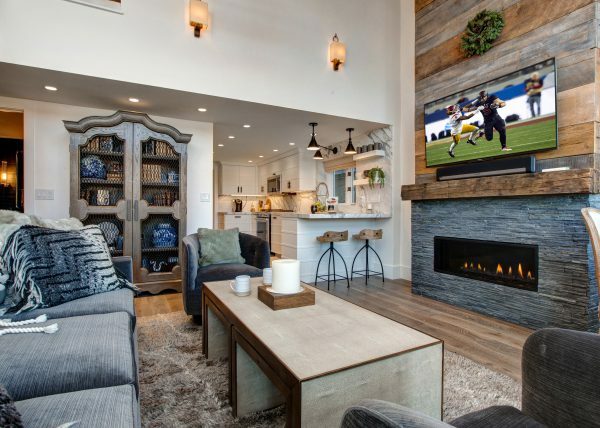 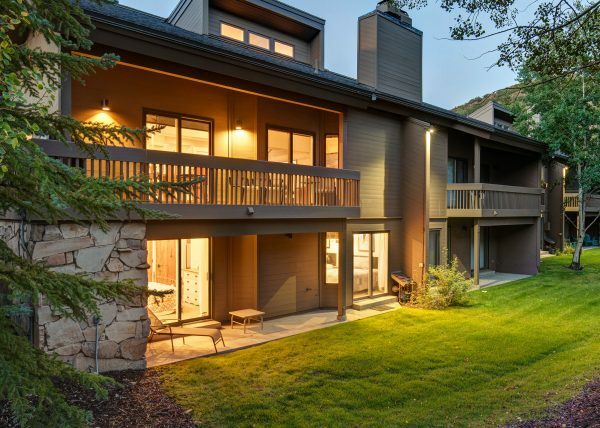 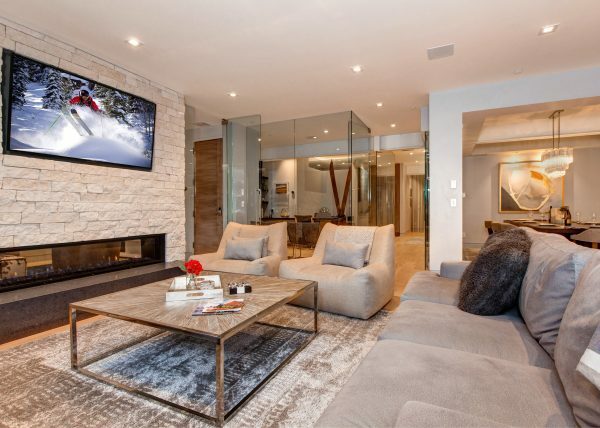 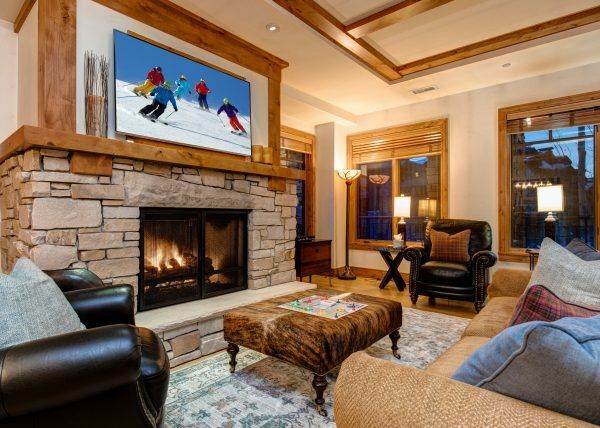 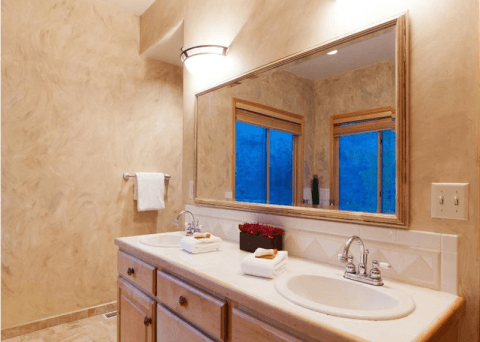 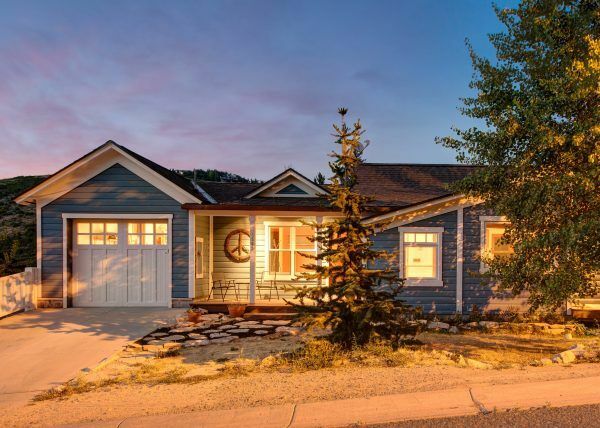 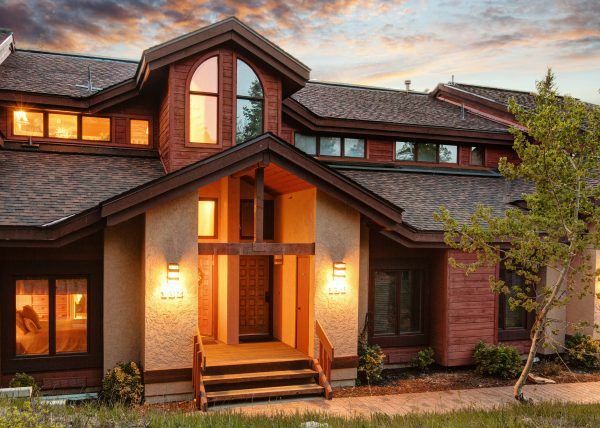 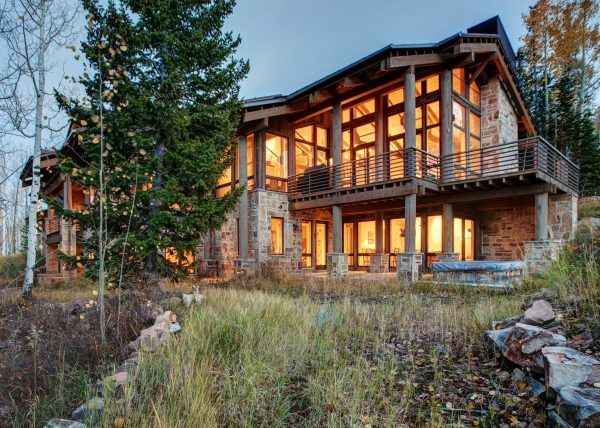 The Abode in Solamere offers an open floor plan offers over 3,000 square feet of comfortable living space with high vaulted ceilings which offer unobstructed views of the nearby slopes and fill each room with natural night. 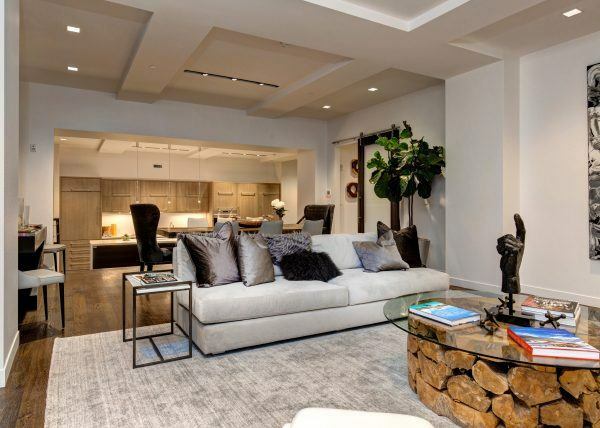 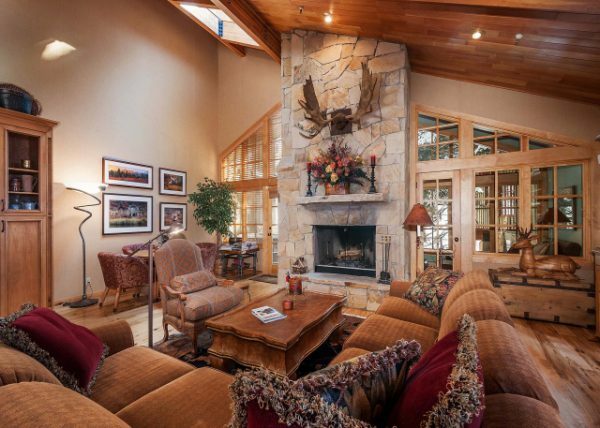 The Great Room has a beautiful living space that connects with the indoors and the outdoors. 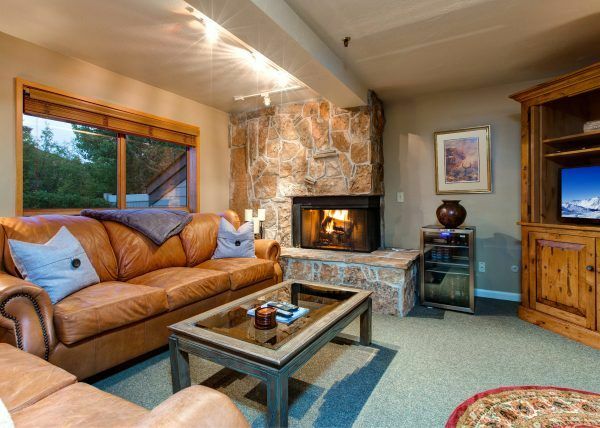 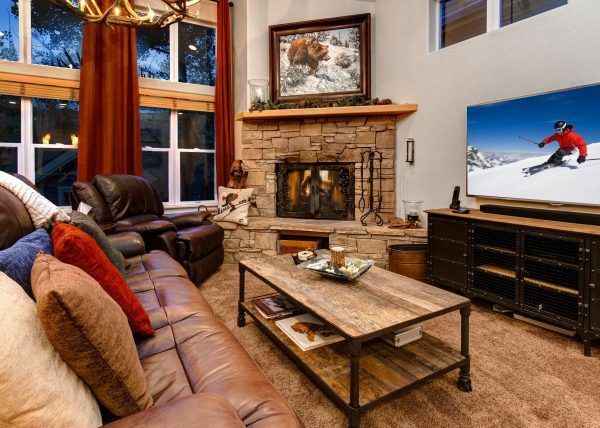 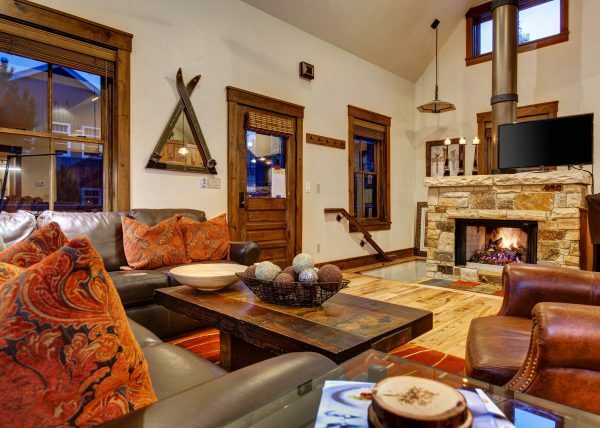 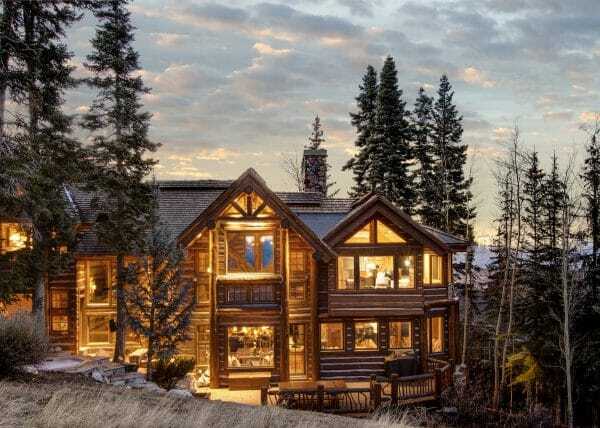 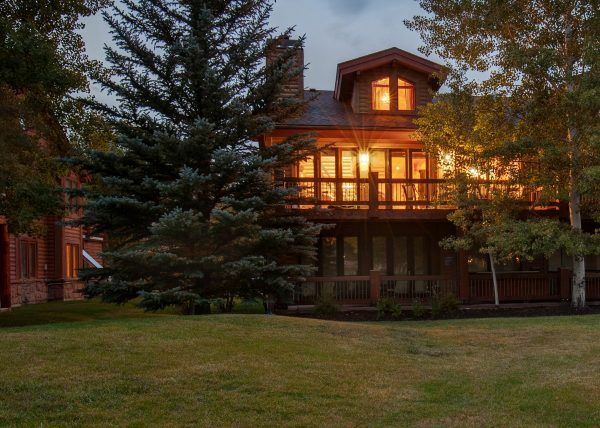 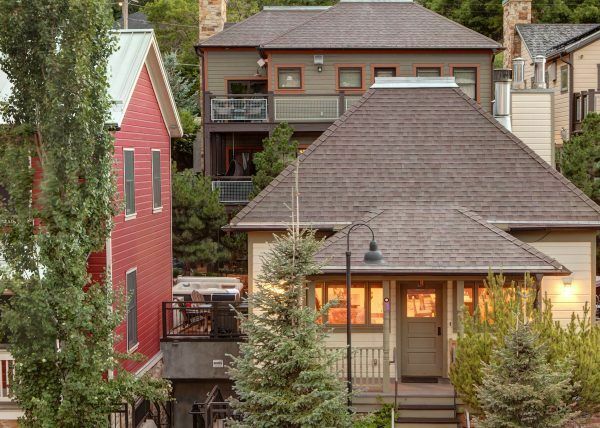 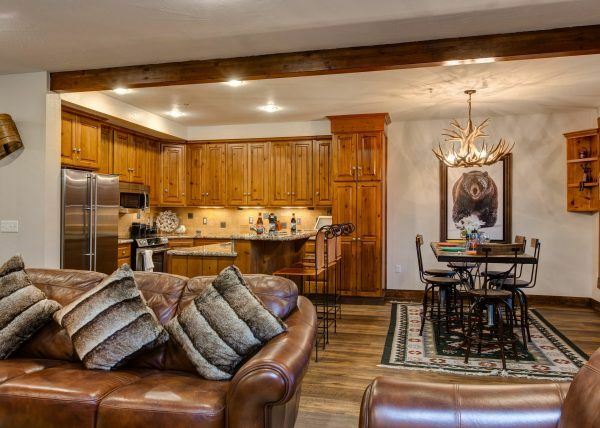 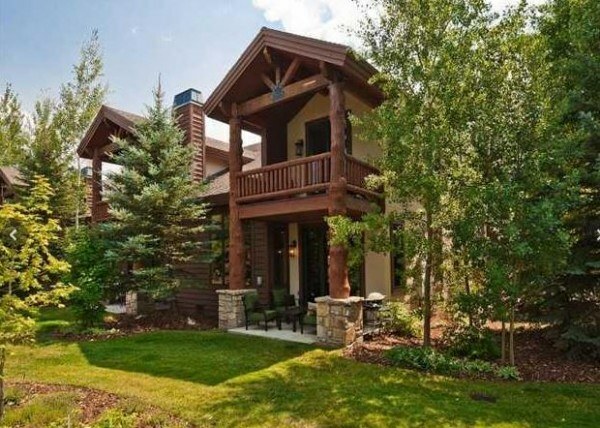 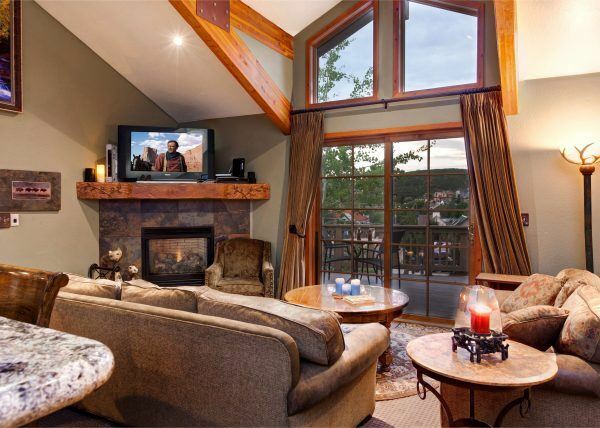 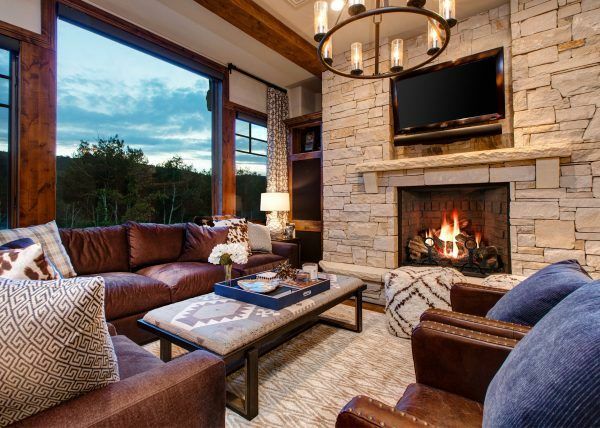 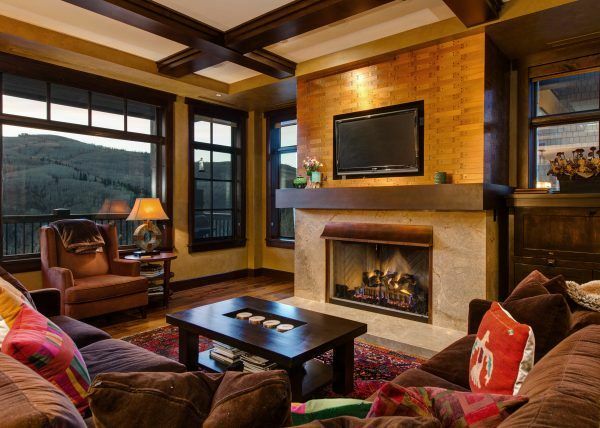 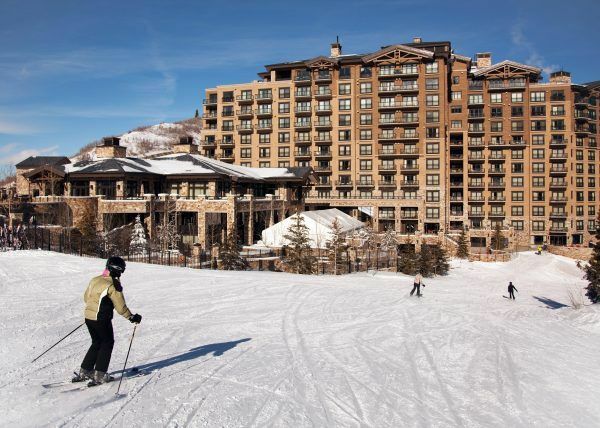 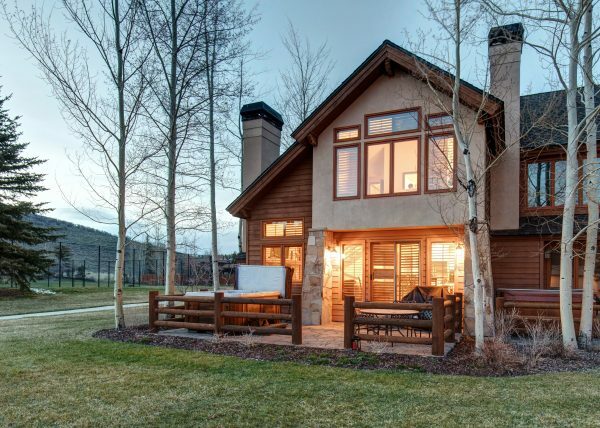 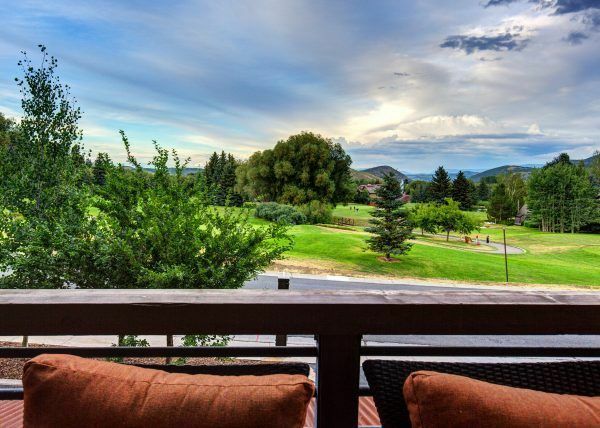 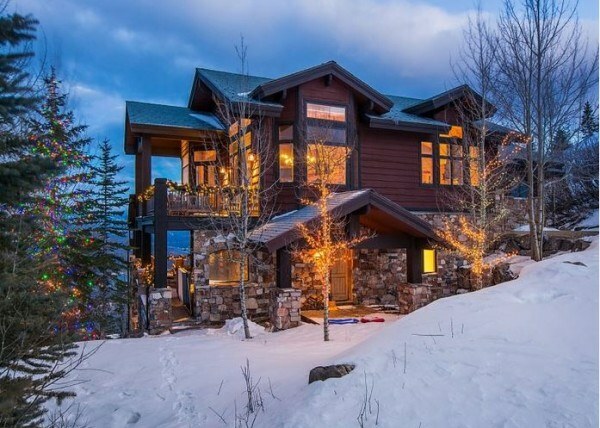 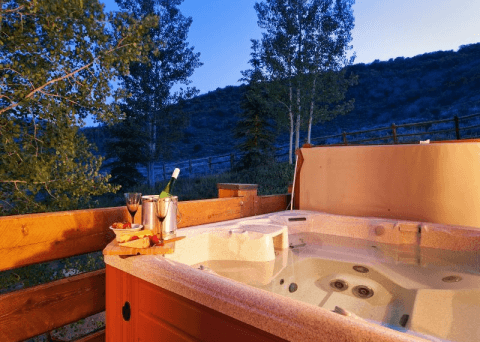 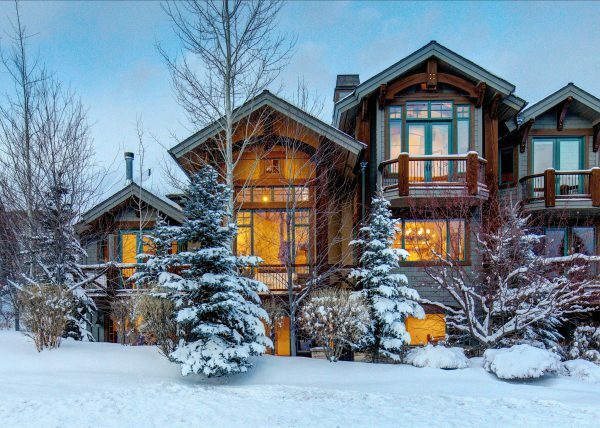 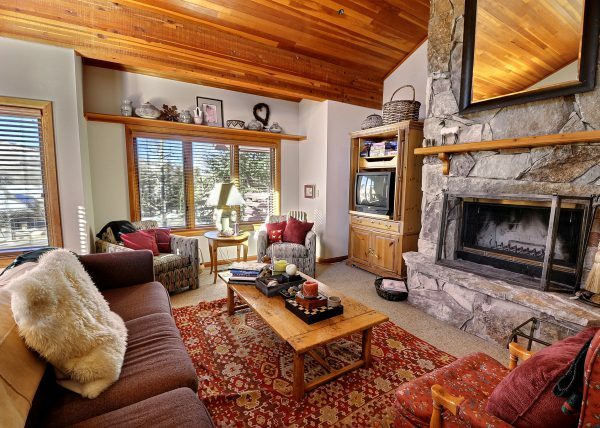 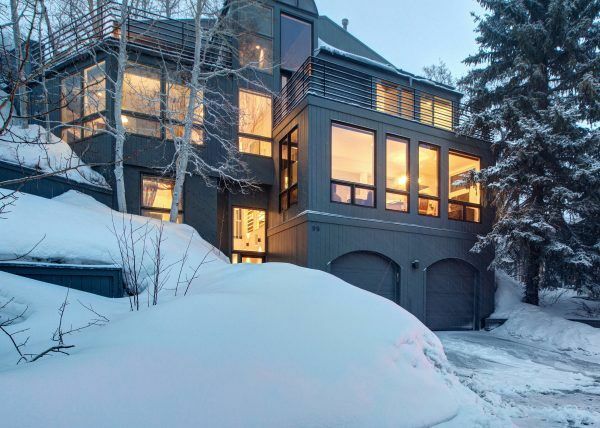 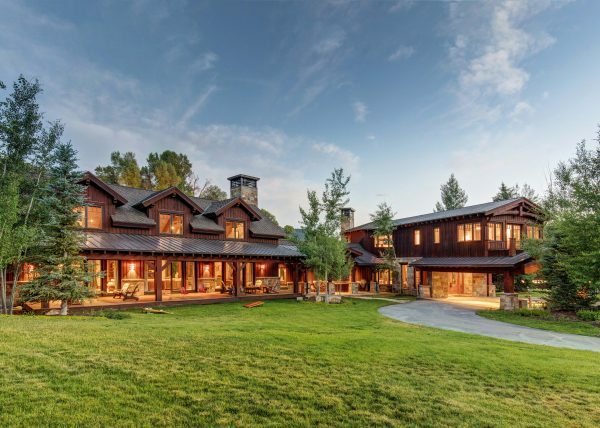 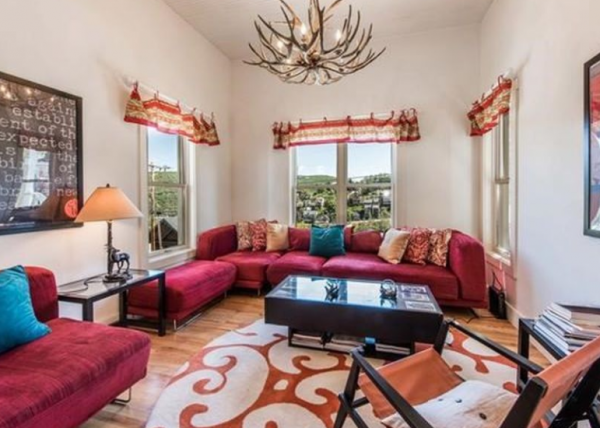 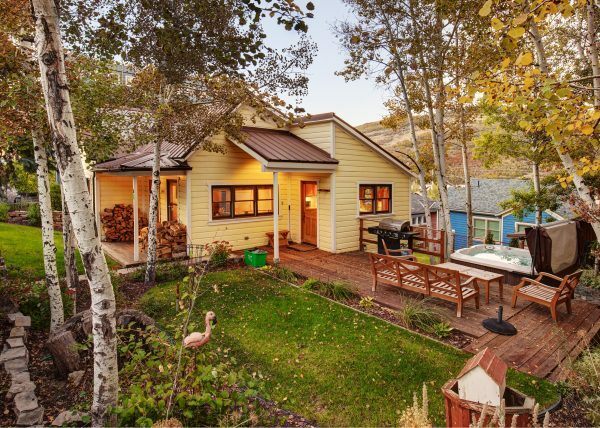 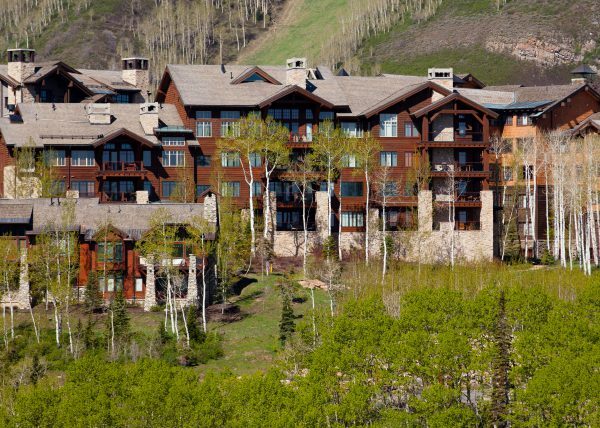 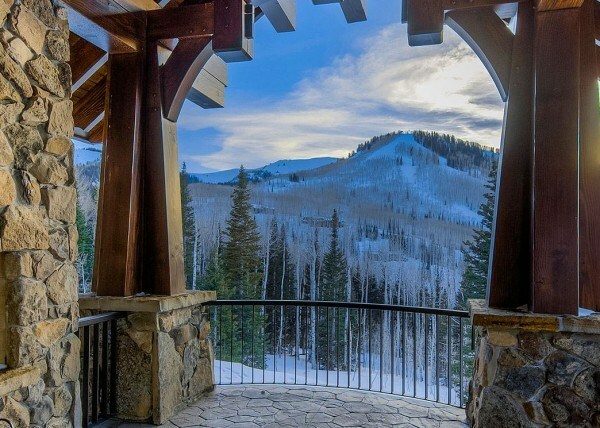 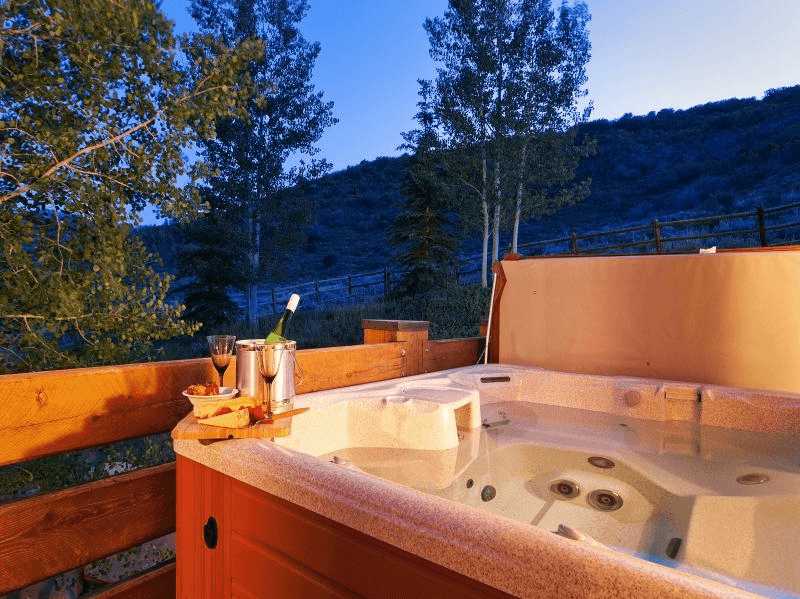 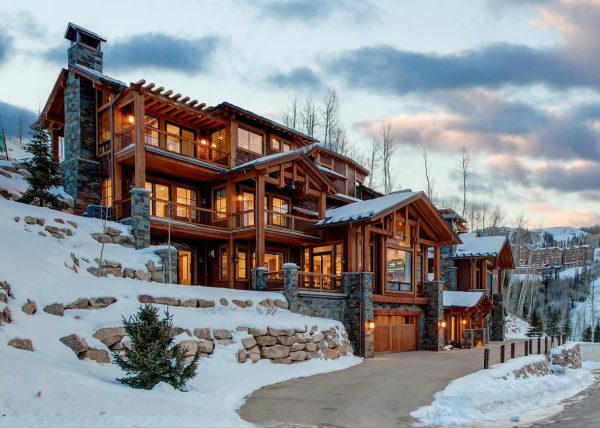 You can take full advantage of the stunning Deer Valley views as you sip a cup of hot coffee. 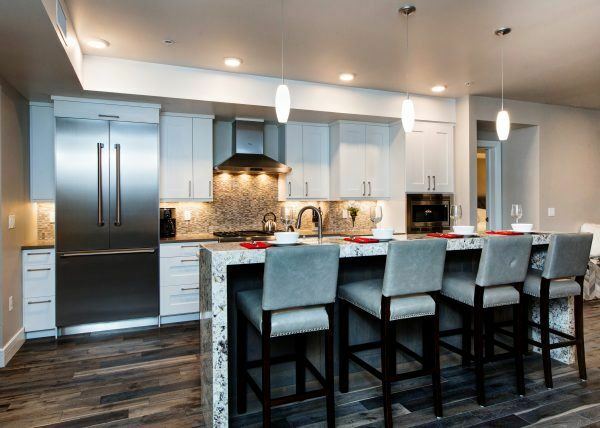 The gourmet kitchen features granite countertops, hardwood floors, WOLF & Sub-Zero appliances and plenty of work space for your chef (or ours) to create fabulous appetizers, entrées and desserts. 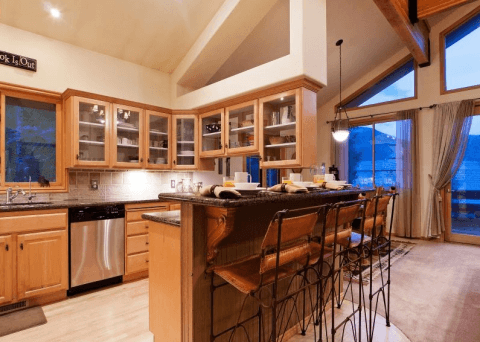 Enjoy incredible views from the breakfast bar or dining area, perfect for entertaining.